It remains one of the saddest stories in the long and sad history of forced vaccination: the killing and crippling of young, healthy soldiers in the U.S., Canada, Australia, Israel and other countries with a crude, toxic experimental anthrax vaccine that top military physicians persuaded Generals to order soldiers heading for the Gulf War to take. In the U.S., despite a temporary court injunction issued by a courageous U.S. federal court judge in late 2004 halting the vaccination of U.S. soldiers without their informed, voluntary consent, since early 2006 the same crude, toxic anthrax vaccine has been forced on military recruits. Those who refuse to obey the order face court martial, imprisonment and fines. On Sunday, May 18, 2008 at 9:30 a.m., an independent film "A Call to Arms" by award winning producer Scott Miller will be shown at the GI Film Festival, Carnegie Institute in Washington, D.C.. This eye-opening film tells the inside story of how the anthrax vaccine has been forced on soldiers with tragic consequences. Tickets are $5 and a powerful trailer of the film can be viewed at http://www.gifilmfestival.com/2008/08filminfo/acalltoarms.html. 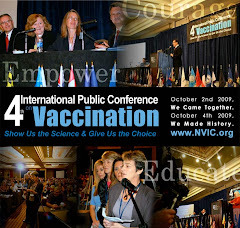 Scott premiered an earlier version of the film ("Direct Order") at NVIC's Third International Public Conference on Vaccination in 2002. The mandatory anthrax vaccine program in the U.S. received renewed support from top military officials after September 11, 2001 when mysterious anthrax powder letters were delivered to American citizens and federal legislators. No one has ever been arrested. A recent Truthout Report says that there are new suspects at a U.S. Army bioweapons lab involved in promoting the mandatory anthrax vaccine program who are now being investigated by the FBI. "Two federal judges have now confirmed the Pentagon broke the law by forcing service members to take anthrax vaccine from 1998 to late 2005. Since 2005, mandating the vaccine is now lawful only because of the FDA's willingness to ignore clear evidence in military medical records of the deaths and disabilities associated with the anthrax vaccine. Just as the government misled the American people about the threat from Iraqi anthrax and the source of the anthrax letter attacks, it continues to mislead the troops about the safety and efficacy of the anthrax vaccine." John Richardson is a co-founder of the Military and Biodefense Vaccine Project of the National Vaccine Information Center. On February 29, 2008, six former soldiers pledged to appeal a federal judge's dismissal of their six year old lawsuit challenging the Pentagon's mandatory anthrax vaccination program because there is no scientific proof the vaccine is effective in humans against weaponized, inhaled anthrax. The soldiers search for truth and justice continues at the same time reports surface in Israel that Israeli military doctors experimented on soldiers using the highly reactive U.S. anthrax vaccine. Several Israeli news investigative reports from May 17, 2007 and February 24, 2008 reveal that elite combat unit troops were given the experimental anthrax vaccine in 2000 without being informed what they were getting and, when they suffered severe reactions and disability, were told their poor health had nothing to do with the vaccine they were given. 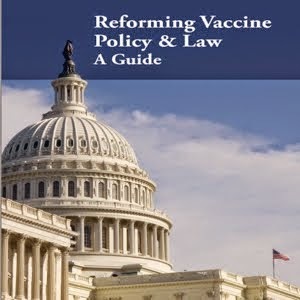 Forcing toxic vaccines on young soldiers using threats and punishment and denying them the right to informed consent is no different than forcing toxic vaccines on young children by threatening and punishing their parents and denying them informed consent. Forcing people to take pharmaceutical products which can injure and kill without their voluntary, informed consent is a violation of human rights. Ideology, one-size-fits-all medical policies and industry profit-making should not come before human rights. This was very eye opening, thank you. I am soooo thankful for your watchful eye on the vaccine issues. Is there any way to watch "The Call to Arms" online??? Also, what is your opinion on the Gardasil (HPV) vaccine. From what I understand in contains Tween 80 which can sterilize girls! My husband had to have a anthrax shot and now he has MS. I was joined the Army in 2005 and was given this vaccine. We were told secretly by drill sergants that we were given the anthrax shot but they wont tell us and that we were "guinea Pigs". If we refused any shots, we would face court marshal and imprisonement. Ever since I have had serious medical issues that do not make any sense. Im only 28 and now have neuro probs like stroke and seizures. I'm waiting to see if I have MS as well....any ideas as to what I can do? Ty!